MUMBAI – MAHARASHTRA – INDIA JUNE 29, 2015 01.15 A.M.
For my Sunday blog, I was searching for the topic. Suddenly I thought about Piyush Jindal, a.k.a. Bobby Jindal, the 55th and current governor of Louisiana and the former vice chairman of the Republican Governors Association. Normal people have red and white blood cells #YoBobbySoWhite he has only White blood cells. Which also makes him immune to any intelligence. Piyush “Bobby” Jindal (born June 10, 1971) is an American politician who is the 55th and current governor of Louisiana and the former vice chairman of the Republican Governors Association. Jindal was born in Baton Rouge, Louisiana, to immigrants from India. Prior to entering politics, Jindal studied for a Bachelor of Science in biology and public policy at Brown University from 1988 to 1991 and then a Master of Letters in political science from New College, Oxford, as a Rhodes Scholar. He worked for McKinsey & Company and interned for Rep. Jim McCrery of Louisiana. In 1996, Gov. Murphy Foster appointed Jindal secretary of the Louisiana Department of Health and Hospitals, and in 1999 he was appointed president of the University of Louisiana System. In 2001, Jindal was appointed as the principal adviser to Tommy Thompson, the United States Secretary of Health and Human Services by the 43rd President, George W. Bush. He first ran for governor in 2003 and won a plurality in the nonpartisan blanket primary but lost in the general election to the Democratic candidate, Kathleen Blanco. 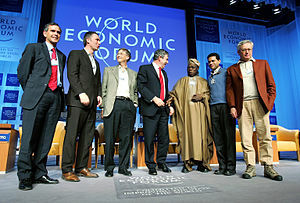 He then won a seat in the United States House of Representatives in the 2004 elections. 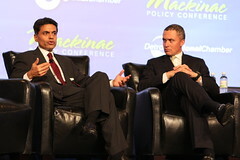 The second Indian American in Congress, he was re-elected in 2006. He ran for governor again in 2007 and secured an outright majority in the first round of balloting; in doing so, he became the first Indian American governor in the United States. He was re-elected in a landslide in 2011. On June 24, 2015, Jindal announced his candidacy for president in 2016. I have reproduced above facts of his life from Wikipedia. Let us have a look on the life of Piyush Jindal, a.k.a. Bobby Jindal. He was born to Amar Jindal and Raj Jindal, immigrants from Punjab. They came to the USA six months before he was born. So he is 1st generation American. He became the second Indian American in Congress, and the first Indian American governor in the United States. So many Indians were elated. He is not a Hindu as everyone would like to believe. He was converted to Christianity quite early in his life and is a practising Roman Catholic. Have a look at the name of his children : SELIA ELIZABETH , SHAAN ROBERTS & SLADE RYAN. Therefore if he does not feel any affinity towards India or Hinduism, he should be left to himself. I think if a person is ashamed of his mother, mother tongue and motherland, he ceases to be a human. Mr. Piyush Jindal a.k.a. Bobby Jindal is ashamed of his origin, his name, his parent’s country and their religion. Such a person can’t be Indian or Hindu in any sense of the term. Rest assured Mr. Jindal, if you want to be American and not Indian American, we Indian have no burning desire to claim you as our own. We have our glorious history, out illustrious forefathers, our unending national icons. We belong to a vibrant Hindu culture and civilization, which is oldest in the world. You be happy to embrace a religion which is 2015 years old. In our long history, we had many traitors and Trojan horses among us. At least you didn’t betray. You said openly what you wanted to say. If you are ashamed of us, we are equally ashamed of your existence. If you refuse to acknowledge your parent’s motherland because it is not as affluent as your adopted land, we also refuse to acknowledge you and your family. Farewell Mr. Jindal !! You are not Indian in any sense. In the era of Shri Narendra Modi, we don’t need ABCD [ American Born Confused Desi ] like you. On behalf of all the students & staff of VIDUR Acting Institute , VIDUR Editing Studio , VIDUR Club and VIDUR Merchandise, I denounce this Piyush Jindal a.k.a. Bobby Jindal. In the era of Narendra Modi, when we are standing on the threshold of glory and glorious future, we hardly need a person like Mr. Jindal, who is so untrue to his salt. MUMBAI – MAHARASHTRA – INDIA AUGUST 18, 2012 11.45 P.M.
Last week there were surfeit of news items about Indian – American writer , columnist and TV show host Mr. Fareed Zakaria . I was intrigued and wanted to unearth the real fact . But before I could finish my blog , I just read in today’s papers that he has been exonerated of the charges of plagiarism and has been re – instated by ” Time “ magazine and CNN . I became more curious . If he was not guilty , then why this whole drama about plagiarism was blown out of proportion , which led to his subsequent suspension ? And if he was really guilty of plagiarism , they why has the suspension been revoked today ? In between , ” Washington Post “ , which few days ago fished in the troubled water and accused him of plagiarism , has apologised for wrongly accusing him of plagiarism . It was too much . So naturally Fareed Zakaria’s case became a curious case for me . I used to admire his father a lot . His father Late Dr. Rafiq Zakaria , a minister in the Congress government of Maharashtra , was a scholar of Islamic history and a great writer of repute . He used to write regularly for ” The Illustrated Weekly of India ” , a Times of India periodical being published from Mumbai [ then Bombay ] . I have several old copies of the said magazine in the library of my ancestral house at Deoria . Those copies of ” The Illustrated Weekly of India “ still remind me about the writings of Dr. Rafiq Zakaria . His mother Fatima Zakaria was also a writer and served as the editor of Sunday Times of India . So curiosity about Fareed Rafiq Zakaria was immense . I refered to Wikipedia and came to know that he was born in Mumbai on January 20 , 1964 . He studied at Yale University and Harvard University in U.S.A. and later on started his immensely successful career in United States of America as a columnist , writer , TV show Anchor and political commentator . In 1992 he started his career as managing editor of ” Foreign Affairs “ magazine . Later on he moved to ” Newsweek International ” and wrote a weekly foreign affairs column for the said magazine [ from 2000 to 2010 ] and was its editor too . Later on he became Editor – at – large of ” Time “ [ from 2010 till Present ] . Apart from these above mentioned reputed magazines , he also wrote for the ” New York Times ” , ” Wall Street Journal ” and ” New Yorker ” . 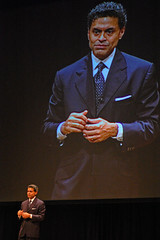 He also hosts a TV show ” Fareed Zakaria GPS “ on CNN since 2008 . Before that , he anchored shows as political analyst on ABC [ 2002 to 2007 ] and on PBS [ 2005 to 2008 ] . He is also a very admired and sought after speaker at various world forums . He is considered an authority on America’s political situations and current world affairs . 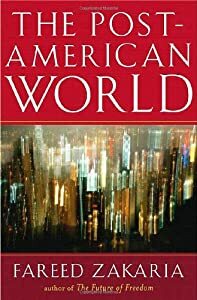 Fareed Zakaria , apart from his hugely acclaimed columns , has also written 3 books like ; ” From Wealth to Power : The Unusual Origins of America’s World Role ” [ 1998 ] , ” The Future of Freedom ” [ 2003 ] and ” The Post American World ” [ 2008 ] . 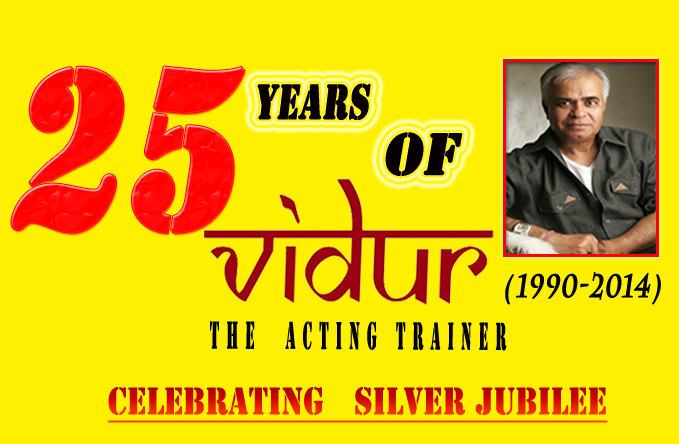 Apart from various international and American awards , he has also been awarded Padma Bhushan by the government of India . A person of this repute cannot easily be accused of plagiarism . But this month he was accused of plagiarism by Newsbusters and was subsequently suspended by ” Time “ and CNN . 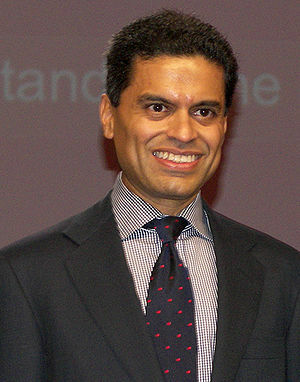 Newsbusters reported that Fareed Zakaria’s ” Time “ column on gun control [ August 20 , 2012 ] bears similarity to an article published in ” New Yorker “ and that he quoted from the article without giving credit to the original author , Mr. Jill Lepore . After much hyped furore , Zakaria tendered unconditional apology on his twitter handle @FareedZakaria . And after a week – long investigation ” Time “ and CNN accepted his apology , cleared him and reinstated his column and TV show . A needless controversy ended . I started thinking about the controversy . Was it really plagiarism ? Or Mr. Fareed Zakaria swallowed more than he could chew ? I think the latter explanation is more appropriate . These days multi – tasking is the order of the day . Mr. Zakaria writes weekly column , writes and hosts a weekly TV show , tweets on the micro – blogging sites like twitter , writes books and is a globe – trotting intellectual , who is much sought after speaker . Naturally he also has only 24 hours at his disposal like lesser mortals . It’s a norm in USA to have assistants , who help busy writers like him and suggest topics , links and source materials . Obviously Mr. Zakaria must have been given the paragraph of Mr. Jill Lepore and inadvertently he mentioned it without giving credit . According to me he just made a mistake . It was just a lapse . And prudently Mr. Zakaria apologised without hesitation . And a needless and avoidable controversy ended .